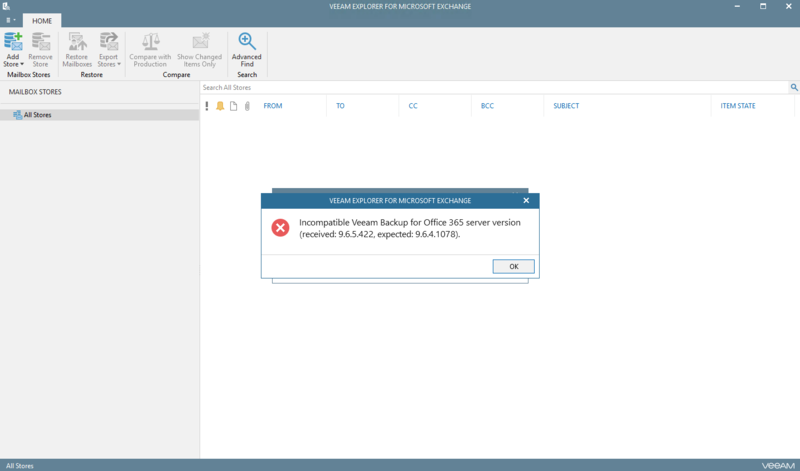 Quick Fix - Incompatible Veeam Backup for Office 365 Server Version - VIRTUALIZATION IS LIFE! This week Veeam dropped version 3.0 of Backup for Microsoft Office 365, which represents another significant update to the SaaS backup platform and builds on the previous 2.0 and 1.5 releases. For a quick look at some of the highlights, head to my fellow Technologist, Niels Engelen blog post for an overview. Like many out there i’ve been waiting patiently to install the GA and got things updated without any issues…however when looking to browse existing backup points for my Office 365 mailboxes I came across this error. Incompatible Veeam Backup for Office 365 Server Version (received: 9.6.5.422, expected: 9.6.4.1078). 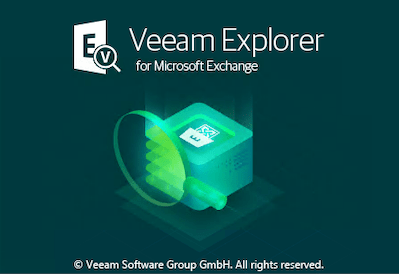 This is after the Veeam Explorer for Microsoft Exchange has been loaded and it tried to connect to the VBO server. The error is a little misleading in that it’s actually talking about the version of the Explorer rather than the VBO server its self. If you look inside the VBO v3 downloaded zip file that you will see three installers. The simple fix is to install the new version of the explorers. The dead giveaway is the new splash screen as seen below. 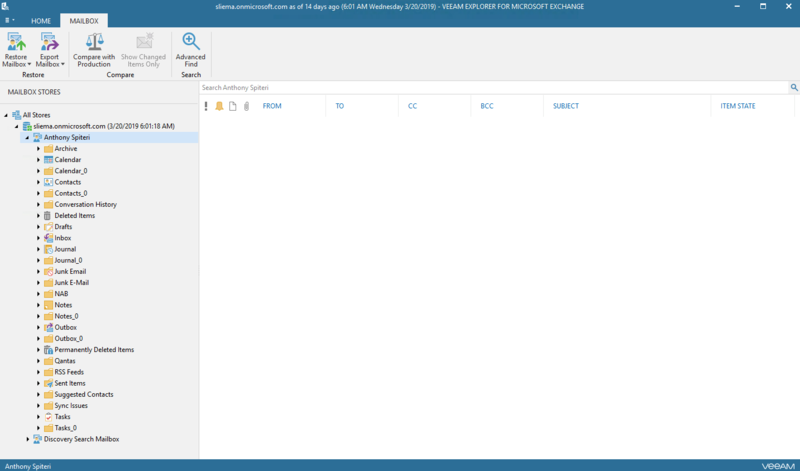 Once done, relaunching the Explorer session will success and you will be able to see the backed up mailboxes listed. So there you go… a really simple fix to an error that might stump a few people at first! Infrastructure as Code vs RESTful APIs ...Terraform and Everything in Between!